Summary: The argument given that upper atmospheric conditions in Santa Fe NM allow for persistent contrails and subsequent cloud formation is refuted with an analysis of upper altitude relative humidity data. 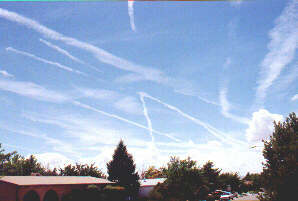 The more plausible explanation is direct chemical spraying from aircraft active over this same area, as documented with abundant photographic evidence on www.carnicom.com. The average humidity for this eight month period is 32%, with a sample standard deviation of 3.7%. The previous relative humidity field description would lead one to conclude that Santa Fe would generally have skies at 30,000 ft. that are often very clear. 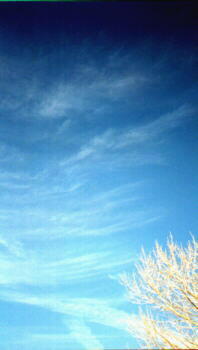 This is, in fact, the meteorological norm for Santa Fe. The average relative humidity at the same 30,000 ft. above mean sea level of these 21 days is 37.5%, with a sample standard deviation of 11.7%. 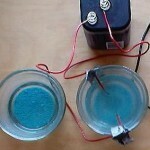 This data was also obtained from the Climate Diagnostics Center of the National Oceanic and Atmospheric Administration. By the same reasoning, one would have expected these days to be generally clear at that altitude, but that is not the case. 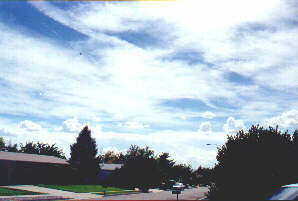 On each of these days, almost without exception, the morning sky began as clear, and as the planes progressed with the spraying, a cirrus cloud layer was created which often transformed itself into a cirro-stratus layer. 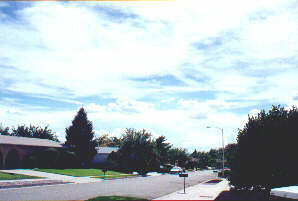 In short, a clear day became generally cloudy or hazy. By any standards, the average relative humidity of 37.5% at 30000 ft. MSL determined on observable spray days in Santa Fe NM would be considered a dry environment, and according to the previous reference any contrails should dissipate. 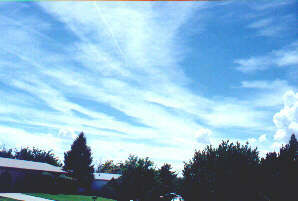 Instead, the evidence clearly shows that clouds have formed from these trails. This statement reiterates for the third time the foundation that low humidity conditions are not conducive to persistent contrails, or subsequent cloud formation. 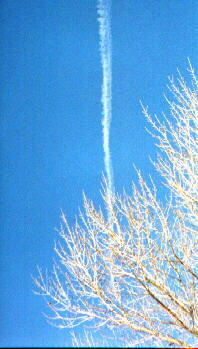 Such events do occur, however, on all 21 documented spray days in Santa Fe itemized above. 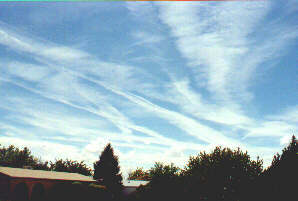 An average relative humidity of 37.5% is to be considered low, and therefore by all references one would expect the ‘contrails’ to rapidly dissipate. The photographs on this page and elsewhere on this web site provide ample evidence that this is not the case. One should ask, why are there clouds in our skies on these days if meteorological conditions do not normally support their formation? 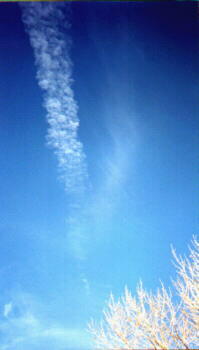 One reasonable explanation is that there are aircraft leaving aerosol trails. 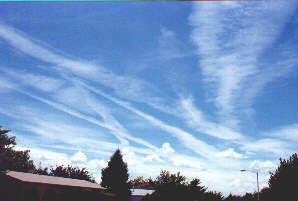 Photographic evidence shows cloud formations progressing in direct correlation with aircraft activity, ground sample photographs show materials that have originated from the sky during aerosol activity, and aircraft telephotos of spray configurations have been captured. 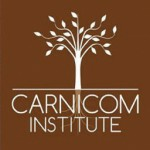 These photographs are available at www.carnicom.com.